oh yeah definitely. I wont mind meeting some folks from acurazine. no i want mine black! wtf did he do it for you or did you buy them off him? ay fuker who did your black housing headlights for you?!? 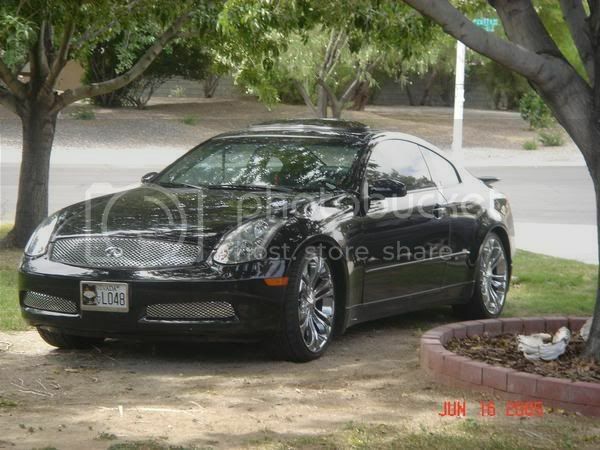 Ha i was goin through my old pics and found a pic of the G35 we had. hey. i noticed you said you just bought headers. Umm maybe, gotta see if i can get that day off, ill probably just stop by and check it out. yeah, i'm about to pick them up this weekend, was your friend trying to get on them too?